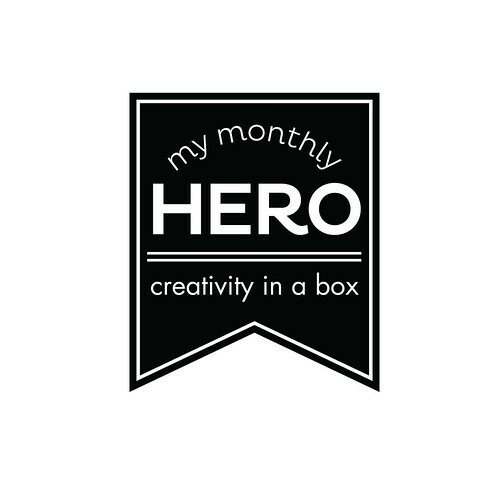 Hello and welcome to the July release Blog Hop for the My Monthly Hero kit. This month is a fabulous kit that I know you are going to love! This month's kit features a gorgeous ocean theme, with jellyfish, octopus and sea turtles, and lots of coral. Octopus are very trendy right now - who knew? Hero Arts is going to donate 10% of profits for our July 2016 MMH Kit to ocean preservation through the World Wildlife Foundation! All of this for only $34.99! The kit is valued at over $60!! I used the Color Layering Octopusu add on stamp set with matching dies to create my card. Be sure to visit all the fabulous stampers playing along with today's blog hop! Thanks for stopping by! Really cute card Veronica!The kit is GORGEOUS….and the add on octopus is WONDERFUL!!! All going on my wish list!!! Oh Your card is so beautiful. As usual I think I dont need the extra big octopus and then your post tells me otherwise! oh my gosh what a beautiful card! Wow your colours choice is amazing. Love yourcard thank s for sharing. Delightful card!! Love the colors and dimensions!! your card is beautiful! the colors are wonderful together! Love that you used so many die cuts! Beautiful card! such lovely colors you chose for your fun octopus! Wow - love all your layering, ink and die cuts, too! Just before I came to the blog hop, I ordered my MMHK plus the seahorse set. I live by the sea, so I love everything ocean-related. Gorgeous layering. Beautifully colored elements. Great card. I like the layering on your card. I like everything with nautical and ocean's topic. Loved your sentiment. It was so perfect with the octopus! cute card! Love that sentiment. Great card kit! Not often I say I MUST have something, this was the exception. Such a beautiful card! Thank you for sharing! I love the sentiment on this card! Your layered octopus is fabulous!!! I like the colors you chose for your card. You gave personality to th e octopus. Thanks. love that "need a hand" sentiment, so cute! I love the octopus and the coral on this card. They turned out really pretty and stood out on the card. The whole card is very beautiful! So cute! I like the layering you did. Thanks for sharing! Love the background and your color choices. Beautiful card. That sentiment with the octopus will definitely get a chuckle from the recipient. What a fun card. Love the striped background. Thanks! Love your card! I really love the texture you put into it. I am a big fan of dimension and texture. Another GREAT card , the July kit is wonderful!! Forget the wish list, just put it in the cart now waiting on USPS to deliver . Love your card and the sentiment . Wow!!! I love the scene you created!!! Beautiful card. I like the effect of layering the dies. Great card! Love the colors and dimension! What a beautiful card! I just love the scene you created. What an awesome Ocean Set from Hero Arts. I just adore the whole set. Nice! I really like the soothing colors you chose. Very nice indeed! beautiful and not too girly, love! Great card I love the layering layout and the colours. What a fun kit. Your card is so soft & pretty. One of my favorites! Awesome card with great layering. WooWhee! I love the colors you've used. Reminds me how colorful the ocean-life really is. You've done justice to this wonderful HA Card Kit. Super job. I really like the way you have used the kit. Your color combo, and the time you put into your card. It is beautiful. Looking at your other projects, you seem to be really good at layering .... something I need to start trying more often. Great Card .... thanks for sharing! What a gorgeous card! Lovely beachy colors. Great card. Loved seeing the add-on octopus. I must have it! Thanks. Very pretty! Love all the layers and the colors are awesome! Gorgeous card!! What a great kit this month. Such a fun card; well done. Love all the soft colors. Veronica, great use of colors and love your layout for these images. What a great project! TFS! Beautiful card---love the colors!!! Great kit!!!! Such a charming card. The colors are perfect for the stamps. These stamp sets are incredible. This is such a fabulous kit. Super cute card. tfs! Your card is adorable. Love the colors and the layering! This is gorgeous. My fave card on the hop so far! Just love this. Great layout for your card with the stamps and colors. What an awesome kit. Such a pretty and elegant card Veronica. Love all the images you used. The striped background looks great. Lovely card. I like the addition of the pink. Your card is just beautiful. I love the background and the oval and the sealift! So pretty together. Love your card Veronica, the sentiment is so funny. Your card is gorgeous! I love all the layers! This is an awesome kit! Beautiful card and love the sentiments in this set! Supr COOL card! Awesome new kit from Hero Arts! Great card! Great stamp kit! Love the layers on this card! It is beautiful! Gorgeous card! Love the layers and dimension! Love these beautiful ocean-themed designs in this awesome kit! Great card! Love the layering. Ohhh, i love the colors in this card. I love pastels and those stripes behind are so cool! Love this! The images are gorgeous and you've shown them off so well! That layered octopus image is so unique and has wonderful dimension! Love your layered card design! All of you have such fun and unique ways of using the set. What a stunning dimensional card! I love how everyone on the hop gave this set very unique looks. Love all the layers on your beautiful card! That octopus is fabulous! Love the cards you made! Wow! Super beautiful card with all the layers you have created with the images. Love the colors too! Wow--love this. Great colors and I like the oval scene. Love this kit...your card is wonderful! Thank you for the inspiration. LOVE the add-on octopus! This kit is absolutely GORGEOUS!!! So many possibilities! And your card is stunning, thanks for the inspiration!!!! I love your card. Blog after Blog I am surprised at how each of you have created a card I want to try to recreate. you choose a beautiful color for your card! This is one COOL card!!! Love how you layered your pretty scene and that sentiment is too funny! Wow, just wow! Love the scene you created using layering, and the papers and colors you used are gorgeous together. Very well done! Love the texture and dimension of your card - so cute. wow... what a gorgeous card!! love all the layers! Love how you layered the pieces for such beautiful dimension. Awesome card!! Very pretty card and I love the layers!! LOVE this scene. Such a nice arrangement! Just when I think I dont need the dies you show me this. Beautiful! Love the coral too. Thanks for sharing. What a cute card! Love your design! different elements of the kit. Wonderful card design and live the colors used. I really like the depth in this card with all the layers! It makes me think I'm looking at it in person in the wild almost. I absolutely love your card with the mixture of soft colors. Thanks for sharing. You made that scary octopus cute, beautiful card!! Those soft colors are great together. I love your cute card. Love the underwater scene you created. Very nice. I think this set is cool, I LOVE that HERO ARTS is making so many layered stamps! They are easy and fun. Also, what a great cause! Thanks for sharing! Truly a great card, love sea life! I'm a sucker for real looking stamps of ocean animals- you created a beautiful environment for the octopus in lovely colors! You created a lovely environment and background for the grand octopus. Love the different dimensions in the card! Beautiful! Love that funny sentiment for your wonderful "octopus's garden in the sea"!!! This is a beautiful layered card. It's quite different from any of the others in the hop. I love the layers you created on this card! Thanks for sharing your creation! Great card!! Love this wonderful kit!! Such a beautiful card, Veronica! Love all the layers and the color combo! Wow- look at all those layers!!!! It's like an aquarium :). I love what you did with this kit! Beautiful card made froma beautiful set. I love that you got all that in an oval and it looks terrific. Such a lovely card and a great looking kit! Great layout on the card, Veronica! Thanks so much for sharing with us AND for participating in this great hop and giveaway. Love the stamp kit and love your use of the products! Very pretty card! Loved the colors you used. Beautiful card. What a cute color scheme! And I love the ultra-layered look! Great card...love the color combo! I love how you piece the whole card together. And the stripped background just gels it all up nicely! Beautiful! Beautiful!! This octopus is a must have! A lot of people used the Octopus in their cards. I saw 20,000 Leagues Under The Sea in grade school and the Octopus creeped me out! Your card doesn't creep me out though, it's great! This is a great looking card! The colors, the layout, the layers.. all super nice. love the stripe background! goes perfect with your lovely card! Love the layered images and the stripe background! Thanks for sharing! Love the scene with the Octopus, the layering is great. Thanks for sharing. Such a beautiful nautical scene layering those sea creatures, Veronica! I love how you layered your card I love the dimension to your card. Love the layering. The striped background really sets off the design beautifully. I had not noticed this sentiment before. So fun, just like your card. Wow!! What an amazing card! The scene you created is just fantastic! Ooh...really nice layering and dimension. This is easily one of my favorite stamp sets.